Anemia is caused due to failure of the bone marrow to produce blood cells, including red and white blood cells as well as platelets. Aplastic anemia frequently occurs without a known cause. Known causes include exposure to chemicals (benzene, toluene in glues, insecticides, solvents), drugs (chemotherapy, gold, seizure medications, antibiotics, and others), viruses (HIV, Epstein-Barr), radiation, immune conditions (systemic lupus erythematosus, rheumatoid arthritis), pregnancy, paroxysmal nocturnal hemoglobinuria, and inherited disorders (Fanconi's anemia). When blood cells dry out (dehydrate), the density of hemoglobin S within the cell increases, thereby speeding the sickling process. 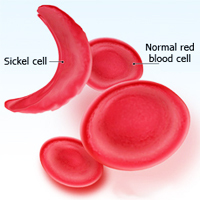 The higher the concentration of sickle hemoglobin and the more acidic the environment, the faster the sickle cell process. A drop in athletic performance or a general feeling of fatigue may indicate you are suffering from anemia, a condition in which the production and amount of your red blood cells is below normal. 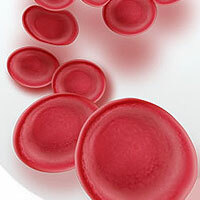 Red blood cells which carry oxygen from the lungs to muscle tissues and organs are synthesized in the bone marrow. Each cell lives for about 120 days in the circulation. Anemia is a medical condition in which the blood has a deficiency of red blood cells or of the hemoglobin these cells need to carry oxygen. Nutritionists feel that blood nourishing herbs aid in the absorption of iron as well as providing other benefits to the blood. And with lower doses of iron, the unpleasant side effects can be avoided. Iron-deficiency anemia is the most widespread nutrient deficiency in the world, affecting an estimated 2 billion people worldwide. Between 40 and 50 % of children under the age of 5 in the developing countries are iron deficient and iron deficiency accounts upto 20% of all maternal deaths. It also impairs immunity and reduces the physical and mental capacities of people of all ages. Women, in general, have smaller stores of iron than men and have increased loss through menstruation, placing them at higher risk for anemia than men. Anemia is the general name for a range of disorders affecting the Red Blood Cells. In all types, of anemia there is a shortage of a chemical called hemoglobin that carries the oxygen from the lungs to all parts of the body via these cells. 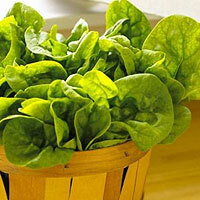 It is unusual in the body in that it contains iron. Because a good supply of oxygen is so vital, anemia has widespread effects, which differ between the different types of anemia. Anemia affects many women at some time in their lives, but it is most common in women who smoke, have heavy periods or an eating disorder such as anorexia. Adequate iron is essential for the formation of healthy red blood cells, and for both fetal demands and the large increase in maternal blood volume. 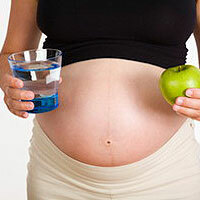 Pregnant women should eat a range of iron-rich foods in order to prevent an iron deficiency. A biological support vitamin that assists the functions of other essential nutrients, folic acid is indispensable for the smooth metabolic activity of hundreds of biological processes in human metabolism. Without this essential vitamin, we could succumb to myriad illnesses and diseases.